The wishbone day is something like the "day of the wishbone" or "day of the wishbone". The name must be existing custom in some countries to "play" with a bone with the clavicle birds. A call that bone wishbone, though its scientific name is furcula. This is all celebrate life with OI! 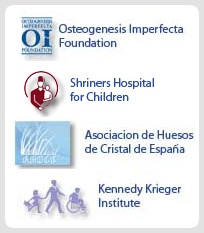 On this day, in every corner of the planet, hundreds of events express recognition or awareness of Osteogenesis imperfecta (HI). Letting know about brittle bone all, inventing creative ways to enjoy, yellow dresses what you of your imagination!!! How was created the day Wishboneday? The original idea came during the Australian OI Conference held in May 2008. This day is symbolically recognized as "Wishbone day" or "Day of the Bone Luck" and chose the 06 May to date as a day of awareness OI – Wishbone Day was born so! Objective of a day in the Calendar? a day on the calendar to the OI aims to disclose everything about this syndrome worldwide to achieve greater integration of these people into society, greater access to employment opportunities, educational and cultural, more knowledge on the subject in order to receive better medical and social care whenever required and eliminating any form of discrimination or segregation caused by the decrease of some physical disabilities that affected individuals may suffer. This logo was designed by Jo Ragen in Sydney Australia. Jo also had OI and is currently working to improve the situation of children with this disease.